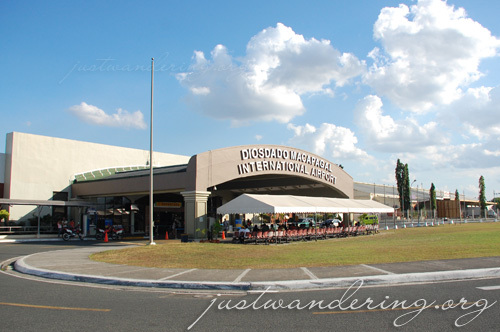 The Diosdado Macapagal International Airport is located inside the Clark Freeport Zone in the Province of Pampanga. It serves both domestic and international flights for destinations as close as Manila to as far flung as Palau. The terminal is new and has pretty good facilities. Toilets are clean, food choices are slightly better than in the airports in Manila (personal opinion) and wifi is free. There are not as many flighs flying into Clark, so the airport doesn’t get as crowded as the four airports in Manila. As much as I like flying in and out of Clark, my main problem with it is the transport from my home. If you have your own car, driving to DMIA is a breeze. The North Luzon Expressway offers a fast, smooth drive all the way to Angeles. Traffic slows down as you make your way from the Angeles exit and into Clark, but once you’re past the Clark gates, it’s a smooth 10-minute drive to the airport. There’s even a reliable long-term parking service, so you don’t have to think about how to get home when you come back. It’s a whole different ballgame if you’re commuting, though. Last February, I took the Philtranco bus from Megamall that goes directly to the airport. While it is very convenient, I dislike the fact that I still had to go to Megamall, which is about 30 minutes south from where I live. Total cost for this Clark airport transport option: Php 440 (Php 140 taxi to Megamall, Php 300 bus to DMIA). Yesterday, I decided it was time to try out commuting to Clark without relying on Philtranco. Since I live in the northern part of Quezon City, I decided to head to Victory Liner’s Caloocan terminal. I was directed to the bus headed to Dagupan, since I was going down at the Dau terminal. The bus left at 5:30pm, and by 6:30pm, we have exited NLEX into Angeles. The conductor told me that there are jeeps going to Clark Airport at the terminal right across the Marquee Mall. So I decided to take a gamble and got down to look for this jeep. Turns out there were only jeeps there that takes passengers up to the Clark gate, not the airport. And one just got full and left, so it was a 20-minute wait for the next to fill up. A tricycle driver offered to take me to the gate for Php 100. I read in the forums that the trike from Dau to the gate costs Php 70, so I figured it’s okay (and I’ve no choice anyway). It was a 10 minute ride to the gate’s transport terminal. There were a lot of loading bays and no signs, so I had to ask where the jeep that goes to DMIA was. I found two, but both had no drivers. The third one that I saw, the barker says it goes to the highway, not the airport. There is a jeep that can take you there, he said, for Php 200. This is the standard price, as I’ve read in the forums. Besides, it’s not as if I have any other choice, right? I finally arrive at the airport at 7:10pm, almost 3 hours from the time I left the house. Total damage to my wallet: Php 504.50 (Php 82.50 cab to Victory Liner Caloocan + Php 112 bus to Dau + Php 100 trike to Clark + Php 200 jeep to DMIA). If I didn’t take a cab to the terminal and rode the trike from Dau, the total would go down to about Php 416. Given these figures and the amount of effort and time that it took, the Philtranco option is the better value. However, this changes if you’re a big group. Let’s say there are 5 of you traveling together. The high cost of the jeep in Angeles can be divided amongst yourselves. A jeep from the Marquee Mall terminal to the Clark airport costs about Php 500, and you might even be able to haggle it down to Php 400. You only pay for Php 100 for the ride, instead of Php 300 if you’re traveling solo. Given the same circumstance, the fare for each person would come to just Php 238.50 (Php 16.50 for the taxi + Php 122 for the bus + Php 100 for the jeep). At least it’s going to be easier going home. Aside from Philtranco, there are other bus lines that set up shop in the arrival hall, all vying for the passenger’s attention. I can ride a bus going to Cubao right outside the airport, get off at Trinoma and just ride a jeep home. So as much as I like DMIA, I’m sticking to good ‘ol NAIA. I’d have to deal with the horrendous EDSA traffic and the crappy facilities, but at least I can just hop in a cab and fork over Php 300 to the driver. I’m just so frustrated about the limited airport transport options we have in the Philippines. I wonder if I would have found these jeep had I got of at Dau as planned, since there are shuttles there, but there were also reports that these jeeps are nowhere to be found. I suppose I was spoiled by last month’s experience with the Bangkok Airport Link, but is reliable airport shuttle service too much to ask for? [EDIT October 25, 2010] I took a flight back to Clark last October 15. Since it was already late, the ladies vying for passenger’s attention before the airport exit were long gone. When I got outside, there was a guy holding a sign that says “Dau Terminal, SM Clark” I spotted the Philtranco bus, but it won’t leave until 8pm. My work starts at 9pm. There was a guy sitting by the side, saying that his jeep would leave in a couple of minutes, which would take me to the Dau bus terminal. Turns out it was the official DMIA shuttle. However, instead of charging Php 40 for Dau and Php35 for SM Clark, they charge a flat rate of Php 50, whether you’re headed to Dau or SM, as Ed and his friends were. The jeep was comfortable though, and it drops you off right outside the Dau terminal. Lloyd, a reader, comments that jeeps going to the airport wait outside Chowking. Just wait for the white and green airconditioned jeep. [EDIT October 26, 2010] Lloyd is a wealth of information! He shares his experience in going to DMIA from the Dau Terminal and taking the Manila airport shuttle that takes you from the MRT Taft to all NAIA terminals including the domestic terminal. great investigative piece! yeah we love to torture our tourists (and locals as well). sa aiport naman, we have to pay travel tax and terminal fees pa. di na lang sinama sa ticket like sa other countries. hay. welcome to the philippines. pumunta ka just to try commuting? saludo nako sayo. very informative, as always. Carlo: “we love to torture our tourists (and locals as well)” Panalo to! wohoo!! sana matapos na ang expansion nila! I so agree with you on the need for better, reliable transport to/from our major airports. It’s a shame that neighboring countries do not only have great airports but also a great transportation system to match it with. Good impression should start with our door mat. It also doesn’t help that the 4 airports in Manila are at least 15 minutes away from each other, without direct public transport between them. Speaking of transpo options, have you ever tried the airport shuttles at NAIA? A friend was asking the other day and I didn’t know anyone who had. I have friends who’ve ridden it, from Terminal 3 to the MRT. Haven’t tried it though, since I usually opt to take a cab straight to QC since most of the time I still had to work in the evening. hi, i often take my flights at naia 3 and since i’ve learned about the shuttle, i dont take a cab unless im traveling with someone. i travel only with one bag so it’s not too hard for me to commute. the shuttle coaster is right outside the arrivals hall of naia 3. i forgot what bay it was but it’s pretty near the exit. from naia 3, it will take you to edsa-taft or “rotonda” for only 20php. you’d see travelers and employees using this so luggage are welcome. the shuttle only operates up until early in the night so if you don’t catch it anymore, you can take the jeep to edsa-taft outside the naia 3 compound for 7php. beware though, you will walk a lot to get outside the terminal. going to naia 3, the shuttle’s terminal is at the back of sogo at edsa-taft together with the buses to tagaytay by genesis lines.i don’t know if it really loops the four terminals (naia 1-2-3-domestic) like it claims in outside the bus but for sure it will go to naia 3 first from edsa-taft. good luck. p.s. i will be deplaning through PAL’s terminal 2 this thursday so i’ll report back if the shuttle goes through T2 as well. got out of NAIA T2 at 9:15pm from cebu. the guards were oblivious of a shuttle but instead pointed me to the bus that stops right outside the terminal, which is a very short walk. the terminal comes from fairview, so it can go as far back. the bus says MIA and you can ride easily from edsa according to the conductor. beware it passes by roxas blvd and the dreaded baclaran so please expect traffic. fare is just 11php to edsa-taft but like i’ve said, it will traverse edsa and will go as far as fairview. good news is it stops at naia 1 and 2, so it’s a convenient alternative if you have time to spare and you can want to save the cab money to splurge on food, like myself. thanks for crediting me nina. more power to your blog. been reading a lot of it since i saw it. Thank YOU for sharing these very detailed information! Our Flight will be on 27th of the month, and our flight schedule is 7am. Is there a jeep from dau as early as 5am for us able to arrive at the airport before the flight? hi. i landed at DMIA from Cebu just early this month. they already have an OFFICIAL DMIA shuttle service from DMIA to SM Clark then proceeding to Dau bus terminal. the shuttle is basically an airconditioned jeepney. so if you have big luggage, you can bring them in but you have to suffer. flat rate is 50php either to sm clark or dau, but ceb smile magazine says it should be 30php or 45php, respectively. maybe they hiked the price too soon? i asked the driver if they bring passengers from dau to dmia. indeed they do. just wait for the shuttle at the dropping point, which is Chowking near the entrance of the bus terminal. i did see a van service by gtexpress near the dropping point that says clark airport but i did not investigate on this. Yes! I was able to ride the official shuttle from DMIA to Dau. But as you said nga, it’s Php 50 flat rate, not PHP45 and PHP30 as written in the DMIA website. That’s the problem with the Dau – DMIA route.. there are no signs, so if you don’t know where the shuttles are, you’d really miss it. i waited for the shuttle last friday because i was to board my flight to cebu at 8pm. i was waiting outside chowking for some minutes before i asked a dispatcher if there were still a shuttle to dmia. he says since it’s late there wouldn’t be one anymore (he seems unsure) so he advised me to ride to sm clark. it’s a big risk as i might be late for my flight but i had to take it. lo and behold, outside sm clark at one of its two terminals, the one that is before the sm building, there’s a jeep that says gate 4 then it includes DMIA on one of its stops. you have to tell the driver to drop you off at “terminal” so you can alight outside DMIA and walk to the terminal building. otherwise, the jeep won’t go there. fare from dau to sm clark is 7php by jeep and the jeep from sm clark to outside dmia is only 10php. so that’s considerable savings, that is if again you only have yourself and a bag. p.s. the bus from dau to cubao was 100php, 80php since i was a student with an ID. so that’s 150php from cubao to DMIA. i think it was florida bus lines. i took genesis last friday and the fare was 123php from trinoma to dau so i might have just been lucky the last time. i don’t know but once i flew going to/from bangkok at the dmia. And i found the airport a little depressing. It was clean and basic, but i didn’t feel the intensity or the warmth of the other airports. Same goes with naia terminal 3. When i arrived at night in dmia, there were some foreigners who were waiting for transport from the airport. I could read in their eyes, the look of help! where to go? just my opinion though. True. 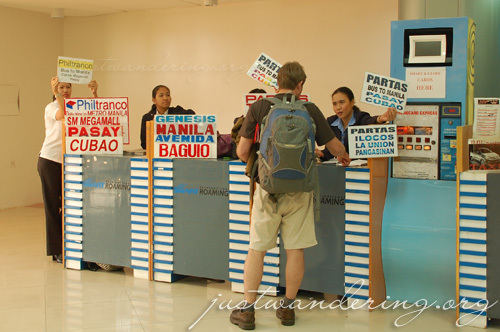 I agree that none of the Manila airports and DMIA have any personality. It’s pretty basic lang talaga. But what I like about DMIA is that it has (slightly) better (read: new) facilities than say, the NAIA terminal 1. Best pa rin for me is El Nido airport. With complimentary kakanin and iced tea! The airport is nice. I’ve been there before and it’s way cozier than NAIA. Nice post. It’s so detailed. hi, i often take my flights at naia 3 and since i’ve learned about the shuttle, i dont take a cab unless im traveling with someone. i travel only with one bag so it’s not too hard for me to commute. the shuttle coaster is right outside the arrivals hall of naia 3. i forgot what bay it was but it’s pretty near the exit. from naia 3, it will take you to edsa-taft or “rotonda” for only 20php. you’d see travelers and employees using this so luggage are welcome. the shuttle only operates up until early in the night so if you don’t catch it anymore, you can take the jeep to edsa-taft outside the naia 3 compound for 7php. beware though, you will walk a lot to get outside the terminal. going to naia 3, the shuttle’s terminal is at the back of sogo at edsa-taft together with the buses to tagaytay by genesis lines.i don’t know if it really loops the four terminals (naia 1-2-3-domestic) like it claims in outside the bus but for sure it will go to naia 3 first from edsa-taft. good luck. p.s. i will be deplaning through PAL’s terminal 2 this thursday so i’ll report back if the shuttle goes through T2 as well. Guards at Terminal 2 (Centennial) told me there’s a shuttle, but it took too long I ended up lining for a taxi instead. I saw that shuttle behind Sogo, but the conductor told me that it only go to Terminal 3. He told me to go to the other side of EDSA for the bus that service Terminals 1 and 2. I realize now that he’s referring to the city buses, not the shuttle. Darn it. From Megamall, it’s about 1 hour and 30 minutes. Hi Marian, I’m not sure if it’s operational 24/7. Hey Nina, just noticed that you said DMIA flies to Palau. I was wondering if you knew airlines that did. A lot of airlines apparently discontinued flights there. Carina, this post was written in 2010. Things have changed since. You can check with Spirit of Manila, but I’m not sure if that website is updated. United Airlines also flies to Palau from Manila. hi nina, ganun pa din ba sitwasyon kung pano magcommute to and from dmia?? plan to take the clark route to davao pag meron available na cheap fare sa airphilexpress. baka maligaw ako pagpunta ko dun. bulakan ako mangagaling. from dau, whats next? Hi, May i know if meron padin po ba shuttle service and how much na po yung price clark to dau teminal and how much po yung bus dau terminal to cubao thanks. 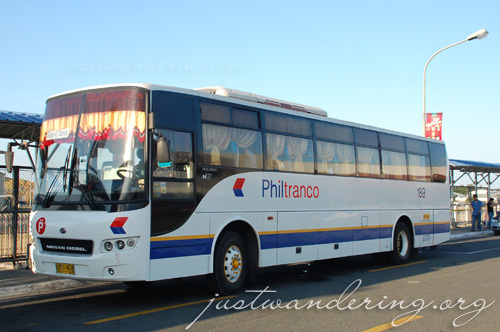 Does the Philtranco bus leave on time? As in it leaves by 12 noon SHARP?